I don’t know about you, but I have been obsessed with false lashes lately. There’s something you need to know about my makeup regime, it’s either completely bare face, or full-on smoky eye makeup. Go big or go home is definitely my makeup motto! However, false lashes can be really expensive, I’ve always heard so much about mink lashes like Velour, Flutterlash etc. Although I wish I could afford lashes like that, my current bank account says otherwise. While I was on the hunt for affordable yet good quality lashes, I discovered Red Cherry. I found a seller on Ebay selling 6 pairs for only $18 (including shipping), HERE so I decided to give it ago. So far, I am loving them lately. Today, I will be reviewing the super famous #43. I personally love this pair, thanks to Jaclynhill on YouTube, it’s the perfect balance between natural and glamorous. It has a very subtle cat-eye look, the lashes are really soft, and the thin band makes it extremely easy to apply. Because of how thin the lash bands are, I often find myself not having to apply eyeliners when I am wearing those lashes. I have been able to wear it 5 times already, and they still look as good as new. Just remember not to apply mascara on top of them. All in all, I am absolutely in love with Red Cherry lashes, I will definitely purchase more when I run out. I've always been hesitant with wearing false lashes because of the fear of them half falling off during a conversation with someone, but I guess I just need really good glue right? I love the ones you are reviewing about! They look really natural and blend really well with your natural lashes. I should probably consider getting them! 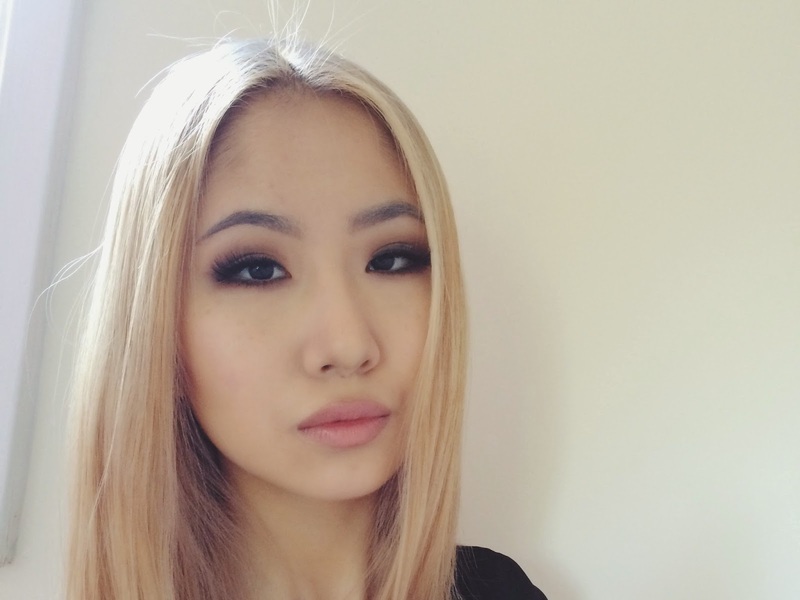 I know Wendy from wendyslookbook always wearing falsies and it makes her photos way more glamorous. I love how the eye lashes look on you!!! Goooorgeous lashes! I love wearing false lashes, I use any excuse I can to, haha! Those look so amazing and natural! Awesome find! Gorgeous eyelashes! Love how you did your makeup! Wow beautiful! I love them! I wish I was better at putting on false lashes because they look so amazing once on! I have had that moment with loving flash lashes! I like your hair color!!! Hey, thanks for the review! What color of lipstick are you wearing in this photo?